For the past 27 years, Jan has been with our office. 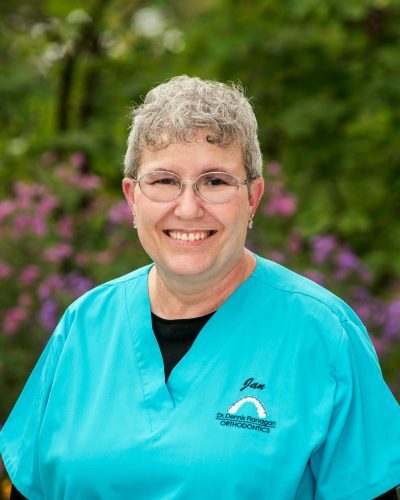 All of our in-house lab work is done by Jan, so if you need braces, a retainer or assorted appliances, she’s the one who will custom make them to fit each patients’ needs. Jan loves that there is always something new happening around the office and enjoys the company of her coworkers. She has always found her work interesting and loves a challenge. In her spare time, she loves to read and do assorted crafts, as well as spend time with her great niece and nephew (Brie and Henry) and her dog, Jackie.